Literacy Skills and Blogging: How Far They’ve Come! I’m always telling people how much my students’ literacy skills have improved through blogging. In my seven year teaching career, I have not come close to finding another medium that helps students to refine their reading and writing so well. Through advice from the inspirational teacher, Linda Yollis, I have been able to set very high standards for my students this year and, with support and practice, so many of them have excelled. I have provided clear guidelines on writing quality comments which my seven and eight year old students didn’t take long to grasp. The students in Mrs Yollis’ class were also role models for my students with their writing (12,000 kilometres away!). Blogging is authentic. Students are reading and writing for a purpose and genuine audience. It is ongoing. 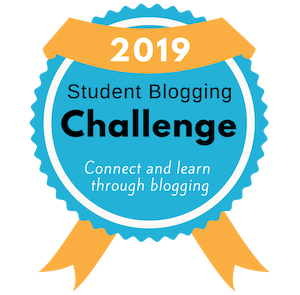 Unlike other approaches to teaching literacy, where you may study a genre or style for a few weeks, blogging is a daily occurrence in our classroom. Throughout the year, we have been able to discuss the the following (and more) in an authentic context. how to ask quality questions and engage in conversations. It has been so much more authentic to teach these conventions in the context of writing on the blog rather than as stand-alone, one off lessons. That’s not to say we don’t have regular lessons on various conventions and genres; it’s just that blogging is always there and the progress the students make with writing on the blog are transferred to other areas. If we want our students to be motivated to use their emerging writing skills, we have to make writing purposeful, challenging, and real-to-life. Blogging offers this. Many of my students have transformed from emergent writers to very independent, competent writers who produce higher quality comments than some adults! Rather than just talking about the improvements my students have made, I decided to look back at some comments from throughout the year to find evidence of this. The presentation below shows how three students have progressed with their blog comments throughout the year. How do you think blogging improves students literacy skills? 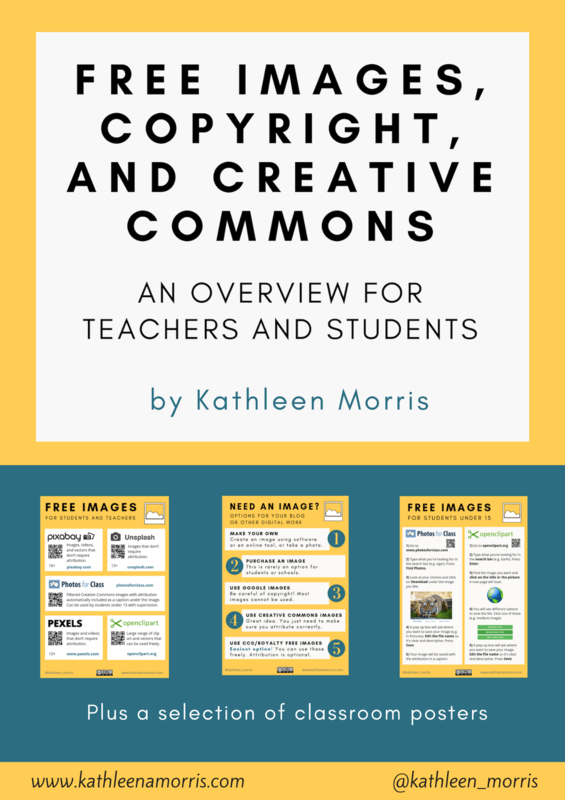 Want To Get More Updates About Educational Blogging? This is amazing and wonderful. In such a short time, too! Thank you for sharing. This post and your presentation will help me formulate a plan to blog in my own primary classroom in March. Just out of curiosity, when you started a classroom blog this year, did you run into anyone that wasn’t as supportive as you’d hoped? How did you assuage their concerns? Thanks! Thanks so much. I was really surprised when I looked back too to see how far they had actually come! I was lucky I didn’t run into anyone who wasn’t supportive. Education is key – when asking parents and the principal for permission, you need to have guidelines in place. Good luck, you will love blogging! What a great post and the progress that your kids have made is amazing. They have been incredibly lucky to have you as their teacher. What I love the most is that rather than learning something in one year and then forgetting it, you’ve taught these kids a skill and they will continue to use this in meaningful contexts after they leave your class (particularly those kids who have their own blogs) – surely that’s what teaching’s about. I can’t wait to start with my new class next year full of the wonderful ideas you have set out. They will be Grade 1 so it’ll be interesting to see how, at an even younger age, they progress and improve. Thanks again for the help you’ve offered me and others with blogging. Thanks for your kind words. I also feel lucky to have such a wonderful PLN. If I wasn’t connecting with so many great teachers across the world, I wouldn’t know what is possible! I do hope my students continue on blogging. For the ones who don’t, at least they’ve learnt skills that they can transfer to all other areas of their writing. Blogging is a 21st century literacy that provides so many benefits. I really am the blogging cheerleader! I was somewhat apprehensive when I went from having Grade 3 to Grade 2 – I wondered if I’d be able to use technology as much and get as much out of them. After setting high standards I was pleasantly surprised and I bet you’ll be surprised with your Grade Ones too. Of course their literacy skills are still emerging so much that they won’t be able to do everything but I think technology/blogging will be a great catalyst for driving those skills forward! I’m glad that I finally got around to reading your post about how blogging has improved your students’ literacy skills. The examples you provided clearly demonstrate not only the development of basic literacy skills, but also the very high level of engagement. I have a challenge ahead! Your ex-students will definitely keep me on my toes when it comes to I.T.! I’ll have to pick your brains about time management, because I found it very challenging to fit in regular blogging last year. It seemed to take ages to complete each post! Thanks for your comment. You’re right – the engagement level increased enormously. The children were having conversations which is something we really try to encourage with comments. Time management is tricky but the only thing I can say is the more you do it, the easier it gets! When I first started it used to take me quite a while to make a post, now it only takes minutes. So stick with it! The other thing I can suggest is try to prioritise posting. Posts are most valuable when they’re recent and if you try to get it done as soon as possible it makes everything so much more worthwhile. Easier said then done sometimes I know but when posting becomes part of your routine, it really is much less effort. Lastly, your new students have had a good blogging apprenticeship in 2010, so have them work on the blog for you. They’d love it. Good luck and look forward to talking more about blogging in the coming months. Thank you for sharing your students’ work. So, often people ask for data to prove that technology eg blogging makes a difference and your real life examples display this beautifully. There are so many powerful outcomes from blogging, and the improvement in literacy skills is one great aspect.Cannot wait to see how your young bloggers develop into great 21st century citizens as they will be skilled and equipped to lead and pave the way. @ Anne, thanks for your comment. You’re so right that people really want to see data for proof that technology makes a difference. I think this data is really powerful although this year I’d be keen to come up with some more ideas on how I can document the proof. I really hope my 2010 bloggers continue on throughout their school career! Hope to meet you at the ALEA Conference. @ Christine, thank you I will check it out! The connection between you and Linda is inspiring! Thank you for sharing your interactions and reflections through this blogging journey. Kathleen, thank you so much for showing the huge skills your students have gained from the experience of real-world writing, and your thinking about their learning. I’ve added this post and some others of yours to a Literacy 2.0 thread of research and practices I’ve been compiling for our literacy projects. Your leadership and sharing is greatly appreciated! Thanks so much for your kind words. I appreciate you adding me to the list with other inspiring educators. I’ll have to go back to your Storify site when I have more time to explore it more. So many great ideas!